We’re delighted to put out another release from West Coast US breakbeast, Darkhalo, with whom we released a rather well-received .MOD a while back. We loved his sorta progressive vs. nu-skool, distinctively Californian rolling beats, obviously born outta the City of Industry, and all the yummier for that. 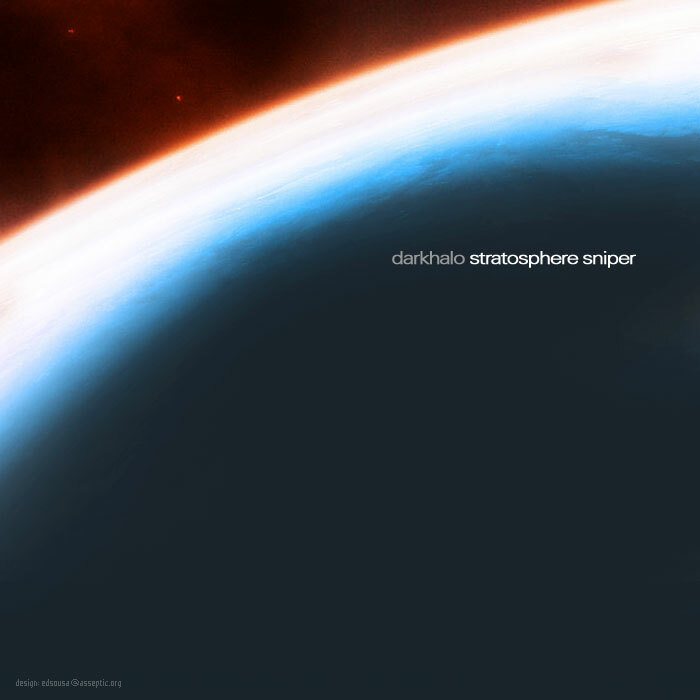 Therefore, “Stratosphere Sniper” is another prime example of the CA massive blowing things up for smarts, and we’ve been mentally grooving (we’re too dorky to dance) pretty much all this week to the heavily overlaid, intricate breaks and gorgeously produced doublespeed bass-snare-snare. Ah, there you go! We’ve actually just got down some Leeroy Prodigy style gangly moonwalk moves that fit it perfectly. What’s your favorite groove position?